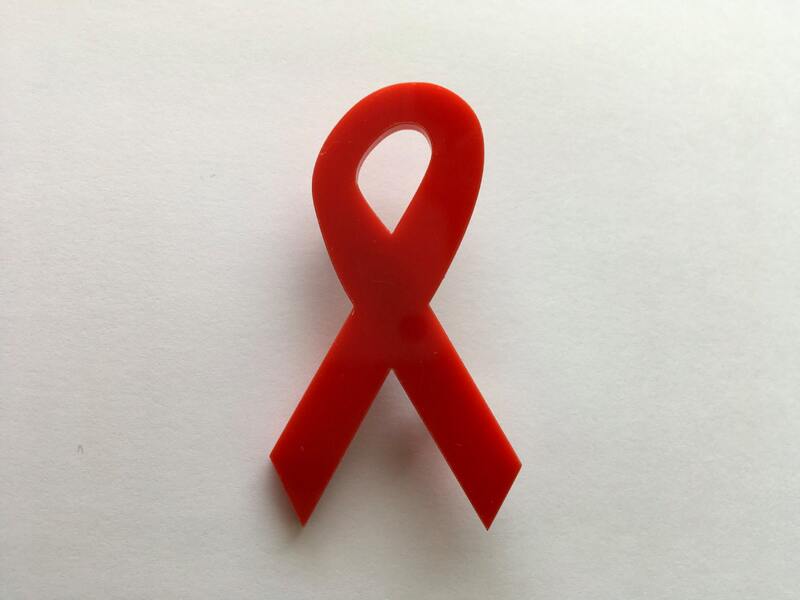 Aids & HIV awareness ribbon. This is a red acrylic ribbon. 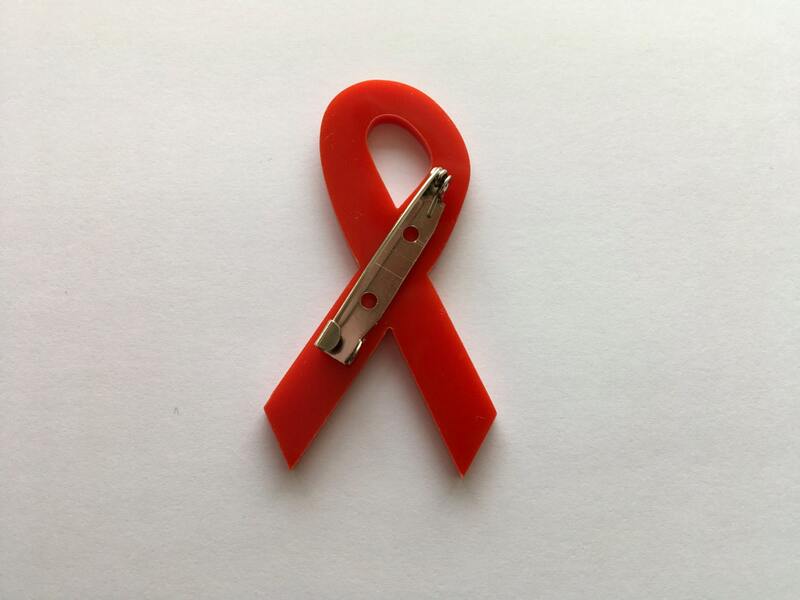 We can produce this Red Ribbon Lapel Pins in 1-3 business days after you order. Very well made, fast delivery.